This Guesthouse apartment is located in our lovely sunlit basement. 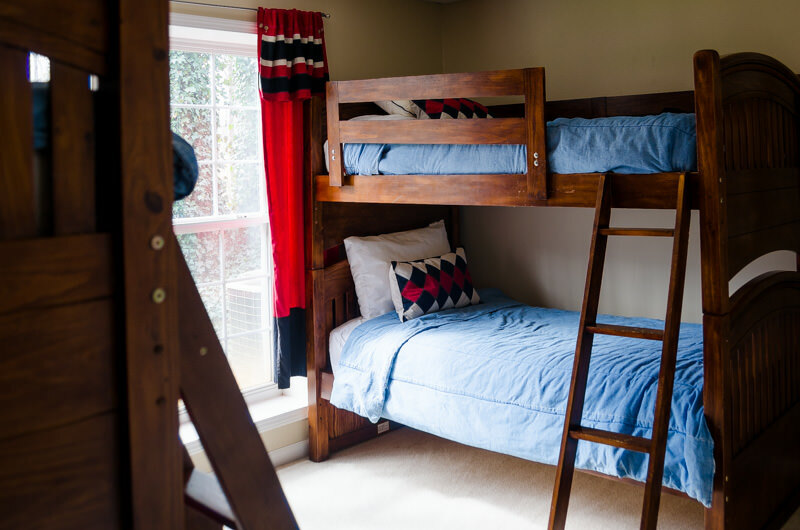 Our apartment is located in our sunlit basement, featuring 3 bedrooms: a king, double and 2 sets of bunk beds, sleeping 8 comfortably. The apartment has its own entrance, 2 full bathrooms, a fully furnished kitchen, dining and living room. Laundry facilities are located within the apartment.